The 2013 International Plowing Match Arrives in Perth County, Ontario! 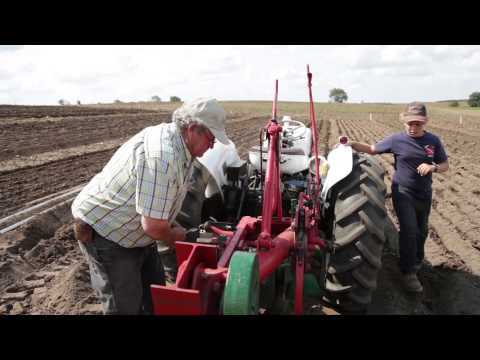 Former Ploughing match champion Bob Brown explains what it takes to be a ploughing match champion. Each year, the plowing match is hosted by a different local chapter of the Ontario Plowmens’ Association, and it’s a wonderful chance for everyone to show their appreciation to Ontario’s hard-working farmers. A healthy agriculture industry means more than just great food: it supports important jobs, economic growth and vibrant local communities. Our agriculture sector employs almost 740,000 people and contributes $33.8 billion to our economy each year. That’s why my government is committed to supporting the industry. We want to create jobs, support Ontario’s rural and regional economies and produce fresh and nutritious local food for the world to enjoy. There are plenty of reasons to celebrate Ontario’s farmers. So why not join me next week at the plowing match! I hope to see you there. Read more about the International Plowing Match and Rural Expo. Discover more about the Ontario Plowmens’ Association.